← Living one last day. There are different traits and feature which distinguish one geographical area from another and somehow make it interestingly unique. Either it could be its strategic importance in political, social and economic transformations, its social custom, traditions and human developments or its beautiful nature, sights, minerals, natural reserves, foods, and fruits. 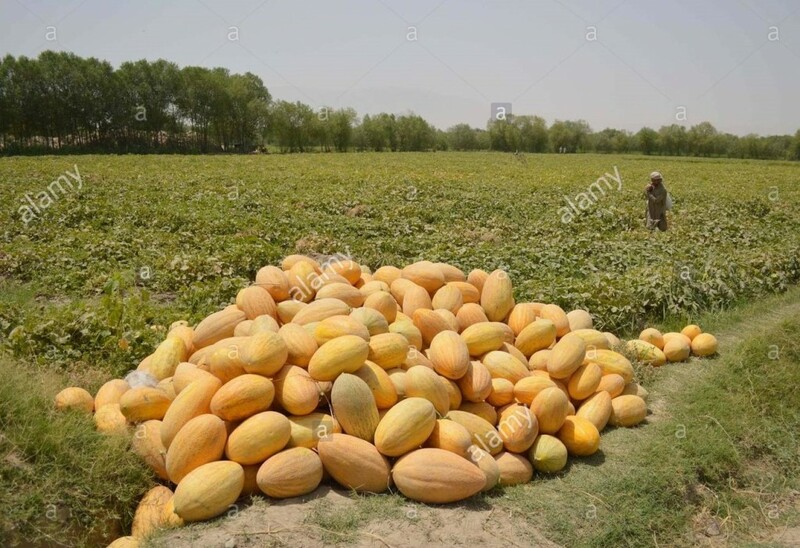 However, Badakhshan province is famous not only because of its rare living species, various and rare gemstones, beautiful nature and amazing native culture, but also because of its wildflowers honey and the vast fields of various kind of water and rainfed melon and watermelons. 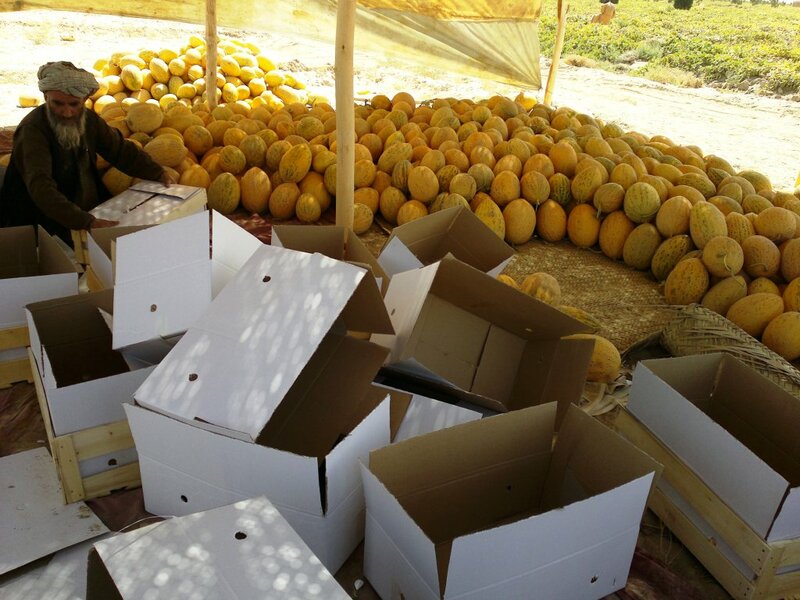 Kishm, Darwaz, Khah’an and Jerm districts provide more than 10 types of melon and watermelons which some are among finest in term of taste and quality. In south-eastern outskirt of Faizabad, the capital city of the province, along with the Kabul-Faizabad highway on the Kockcha River, unbounded melon fields attract every passer’s attention. In spring and summer days, during the sunset, the roaring waves of river mingle with songs of wild birds and voices of singing farmers, and displays heavenly sights of peasant life. Every summer, during the harvest season, farmers leave their homes in the city and move to their farms in outskirts, live in tents with their family, so to prevent robbery and looting their farms, from another side they collect every item in time, amass them along the highway. 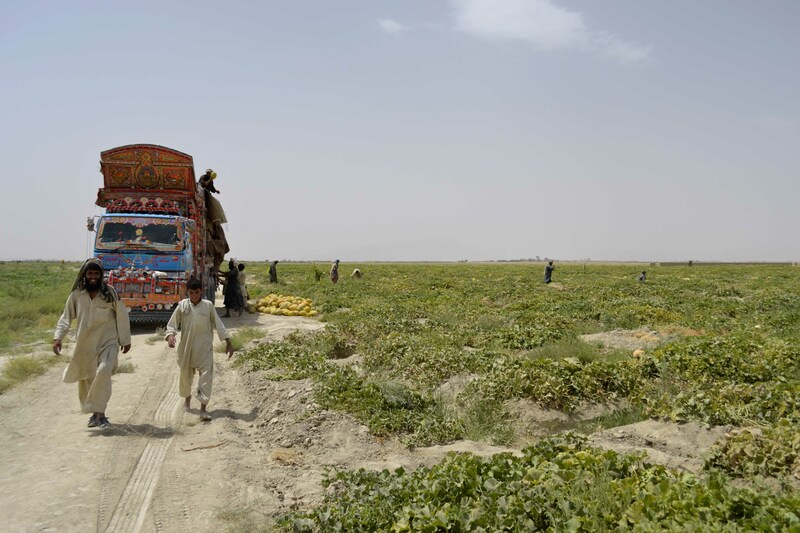 That enables the farmers to sell their products to passengers, vendors, and villagers. However, during the day, farms are also a place for the picnic, which in people come with their friends and families for fun and entertainment. They bring singers, music instruments, and homemade foods and buy their favorite melons in the farms. They sing, dance and make fun of each other, swim in the streaming blue water, breath the fresh air, enjoy the amazing nature and catch fishes from the river. Although. They return back to the city when the sun is getting down behind the mountains.